After living in Rochester, Mn for almost four years, and tired of resisting the continuous prodding of my friend Sandra, I decided it was time to brave Rochester’s summertime festival, Thursday on First and Third. I say “brave” because I’m uncomfortable in crowds and as the images above should make obvious, Thursday on First and Third is definitely about crowds. I haven’t changed my mind about crowds but I must admit the Thursday on First crowd was a friendly, well-fed one in an area with plenty of seating for old guys like me that might want to watch the world go by. 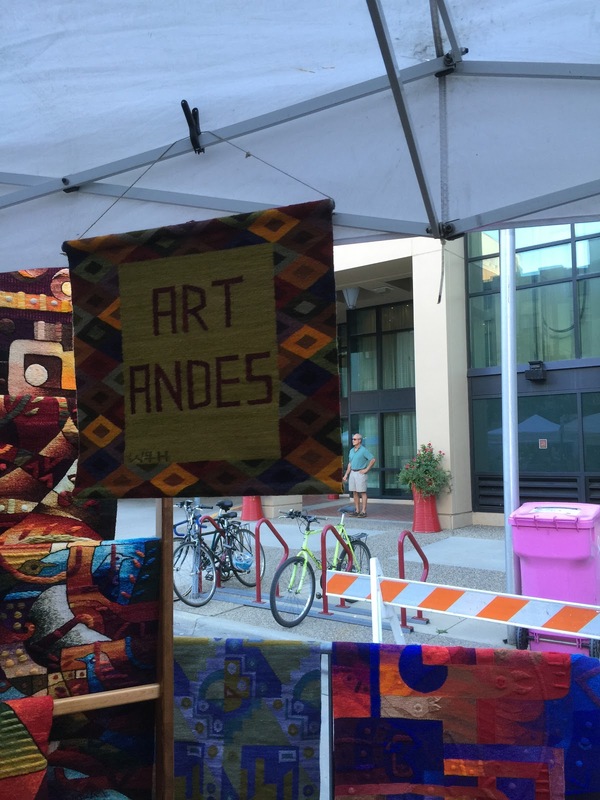 More importantly however for the purposes of this blog about rugs, carpets and tapestries, I stumbled across an absolutely fascinating stall entitled Art Andes. 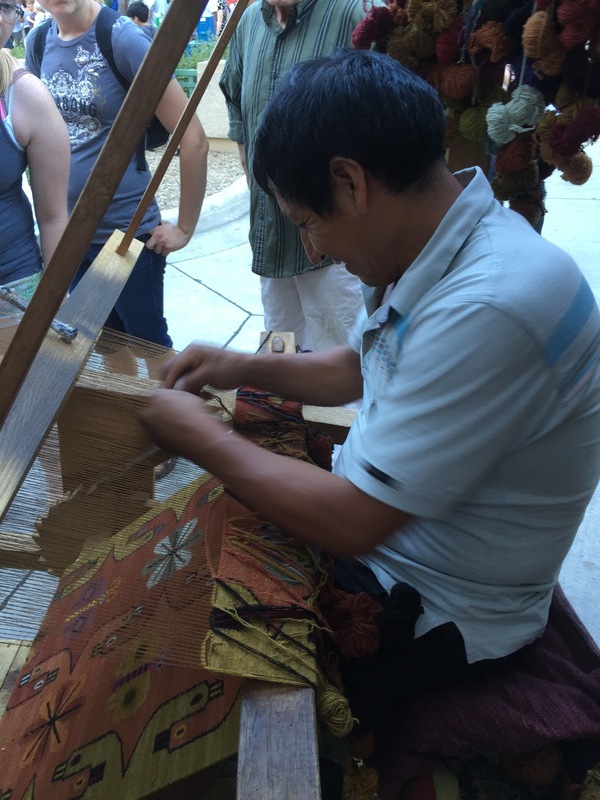 And then, along came Art Andes and Peruvian master-weaver Wilbur Quispe! Actually, Wilbur’s sturdy wooden loom was unoccupied when I stumbled upon it. Wilbur might have been away from his loom but he had wisely left his treasure with a fiercely protective guardian, Melanie Ebertz of ArtAndes.Com (No, she’s not a dragon; that’s her smiling up at us from a pile of Peruvian wool yarn). 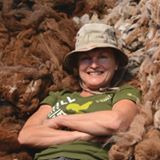 Ms Ebertz has been traveling to Peru for many years searching out the best Peruvian weavers and products. Wilbur, as you might imagine, is one of her most successful finds. 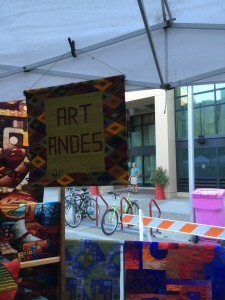 If you can’t make it to Thursday on First you can still look at the many beautiful tapestries and rugs that she has found while in Peru on her website, ArtAndes.Com or even better, at her storeroom in Minneapolis. Besides looking after things, Ms Ebertz proved an informative guide through the wonders of the stall, pointing out significant details on the hanging tapestries that I would otherwise have overlooked in my ignorance of Peru and its people. 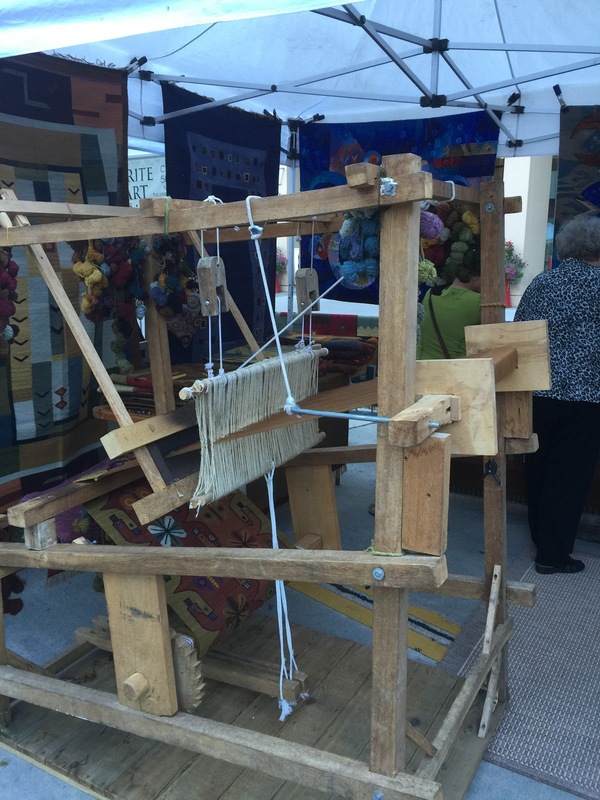 Inspecting the wooden loom, she informed me that Wilbur Quispe threaded the weft by hand rather than with a shuttle, and the blue-gray on the loom’s batton (see image) was from the rich lanolin content of the wool that stained his fingers before he drew down the batton.